🍕 How Long Does Pizza Last? Does Pizza Go Bad? Did you think that leftover Pizza that is kept at the counter for several hours can be considered safe to eat? Well, you may be mistaken. You may be wondering why. Let me help you. 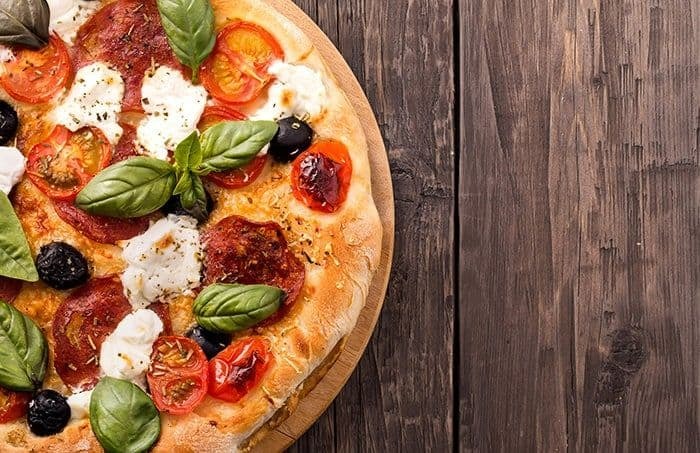 Cooked foods – including Pizza or Chinese fare or fried chicken – when allowed to sit at room temperature for over 2 hours, tends to go bad, as per the United States Department of Agriculture. Generally, temperatures between 40 degrees and 140 degrees Fahrenheit are conducive for the growth of bacterial elements in cooked food items; and the intake of spoiled foods gives birth to food-borne illnesses. However, you may not always fall ill if you eat such foods, but as they say ‘precaution is better than cure’ - so better to avoid, right? Does Pizza Go Bad? How Long Does Pizza Last? How to tell if the Pizza Has Gone Bad? How to Store Pizza Properly? It may be rare to come across somebody who has never tasted Pizza. This Italian dish that is made of yeast-based flatbread (containing toppings such as cheese, tomato sauce, and others) is found to be delectable by many many people. Also, the fact that the dish can be topped with ingredients of your choice, such as vegetables and meats, are other reasons for the dish’s mounting popularity around the world. Pizza is categorized among fast foods and the restaurants that serve the dish are called Pizzerias. You have the option of getting Pizza delivered at home too. Also, you can eat at the restaurants or place orders for takeaways. For lunch or dinner, you can have Pizza to satiate your appetite. The base of the Pizza is made of dough and has to be kneaded as part of the dish’s preparation. Thereafter, the toppings are added, followed by placing the dish in the oven or pizza stone in an oven. Restaurants mostly use ovens for baking Pizza. Nevertheless, the dish can be prepared at home in your oven’s pizza stove as well. Pizza crust refers to the bottom of the Pizza. According to Wikipedia, Mozzarella cheese is more common as Pizza toppings. Though, other Italian cheese varieties such as Ricotta and Provolone as Pizza toppings are used as well. If you are wondering whether Pizza goes bad, then the answer to your question is Yes. Depending on your storage conditions, the time taken for Pizza to go bad tends to vary. Pizzas that are kept at the counter for more than 2 hours become bad because of ‘pathogenic’ bacteria that attack the cooked foods. If you devour spoiled foods, you can suffer from disorders. At temperatures ranging between 40-140 degrees Fahrenheit, the microbial elements such as bacteria start to develop on the food because the environment is suitable for their growth. For preventing your leftover Pizza from going bad, you are advised to keep the dish in the refrigerator within 2 hours of your purchases or after they are cooked. To increase the shelf-life of your Pizza when kept under refrigerated conditions, you should use air-tight containers or cover in aluminum foil or enclose the slices in plastic wrapping. By doing so, your Pizza remains fresh for 2-3 days. For storing Pizzas for a longer duration such as 1-2 months, you can keep them in the Freezer. You can use freezer wrap, aluminum foil, freezer bags, or air-tight boxes for covering the Pizza - prior to storing in the freezer. Moreover, if stored at 0 degrees Fahrenheit, Pizzas can remain fresh indefinitely. After freezing the Pizza, you can thaw in the fridge for 3-4 days before cooking. Nonetheless, after thawing the Pizza in tepid water or in the Microwave after being stored in the Freezer, the foods should be devoured immediately. Also, if you thought that just because the Pizza smells fine, the food has not gone bad, guess what? You’re wrong. The invasion of bacterial elements does not necessarily alter the appearance, odor, and taste of foods. There are chances of you contracting food-borne illnesses as a result of the consumption of such foods. As a response to your query on the duration for which Pizza can be stored in the fridge to keep the food from going bad, the interval is pegged to be 3-4 days. 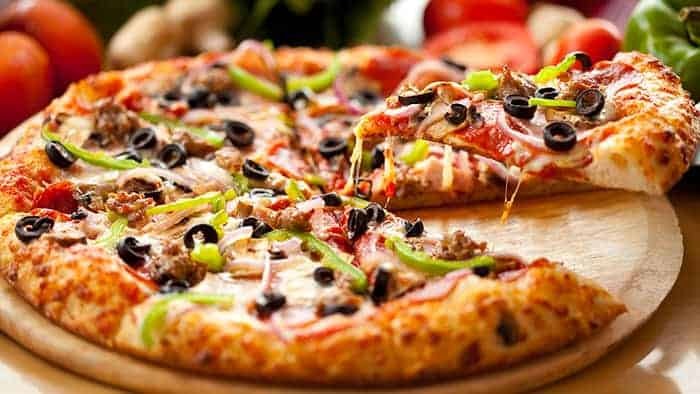 Nevertheless, you can keep Pizza from going bad in the fridge only when the dish is kept in the refrigerator 2 hours after being cooked or purchased. Moreover, you should store Pizza properly in the refrigerator to retain the freshness. When storing in the fridge, you should use the shallow air-tight containers. As an alternative, the slices can be covered in plastic wrap or aluminum foil before tucking away in the fridge as well. Also, if you are worried about your refrigerator getting overheated due to the placing of hot foods, then have no worries as the refrigerator’s thermostat is equipped to keep the appliance operational safely at a temperature of 40 degrees Fahrenheit – according to the United States Department of Agriculture. However, there is need to chill the food quickly after they are kept in the refrigerator; therefore, the use of shallow air-tight containers for keeping the foods is recommended. Avoid putting hot foods in deep containers when storing in the fridge. Also, dividing the pizzas into slices and storing separately in the refrigerator helps to cool the food at a faster rate. As per the EatbyDate.com website, there are various safety measures that can be practiced for preventing cooked foods - such as Pizza - from becoming stale. Also, according to them, the shelf life of Pizzas depends on several factors such as their preparation and storage methods. Pizzas ordered from Pizzerias or prepared at home are prepared differently, contain varied toppings and thus, have varying expiration dates. Also, there are various ways of learning whether Pizzas have gone bad as seen in the following details. Pizzas tend to ooze a rancid smell when they become stale, so you can rely on your senses for determining whether the foods have gone stale. The texture of cooked foods, like Pizza, is known to develop a hardened and dry texture if they become bad. The development of molds is another tell-tale sign of stale pizzas. Freezer burn signs of frozen pizzas include the development of ice crystals, as per the Shelflifeadvice.com site. 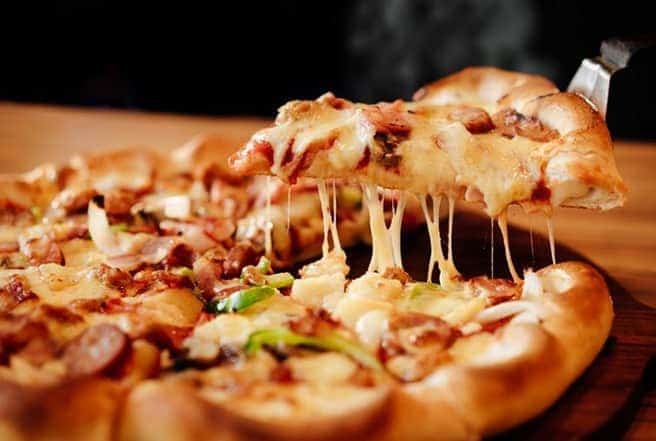 If your pizza contains toppings - such as meat, mushrooms or onions –then, the ice crystals can lead to the breakdown of the cell-based structure of these foods and cause the release of extra moisture during the baking process. At times, you may notice darkened and leathery scraps on the pizza surface – these are other signs of freezer burn. Even if the toppings appear to be slimy, you can assume the food to be spoiled. Eating spoiled or bacteria-infested foods are never advisable. If you consume such foods, the occurrence of food-borne disorders cannot be ruled out. For this reason, you must practice the food safety regulations for maintaining your overall well-being. As much as possible, you must consume fresh foods only. Furthermore, always read the food labels and duly follow the storage instructions for being on the safer side. You should, also, make sure to throw out the foods that are expired. Additionally, if the foods show any signs of spoilage, do not consume them. Leftover pizza tends to go bad if you keep the foods at room temperature for more than 2 hours. For maintaining the nutritional value of the foods, they can be stored in the refrigerator or freezer from 2 hours of their preparation. However, for storing Pizzas in the refrigerator or freezer, the methods are different. If you wish to keep the leftover Pizzas fresh for 3-4 days, then storing them under refrigerated conditions may be pursued. On the Stilltasty.com website, they advise that when keeping Pizzas in the fridge, you should wrap the pizza slices in plastic wrap or aluminum foil. Alternatively, pizzas can be stored in shallow air-tight containers too. The use of shallow containers, and not deep ones, is advised for chilling the hot cooked foods – including Pizza - at a rapid pace. Do not worry about your refrigerator overheating due to storage of hot foods as the appliances are designed to maintain the temperatures at 40 degrees Fahrenheit, which is considered safe. For storing Pizzas for longer durations such as 1-2 months, keep in the Freezer. Before storing in the freezer, the pizza slices should be wrapped in freezer wrap or aluminum foil. Also, you can use air-tight containers and freezer bags for storage of the cooked fare. To keep Pizzas fresh on an indefinite basis, they can be stored at 0 degrees Fahrenheit in the freezer. If you wish to consume frozen Pizzas, they can be thawed in the fridge for 2-3 days before being heated in the Microwave or in cold water. Then, they are meant for immediate consumption; otherwise, they can get spoiled. 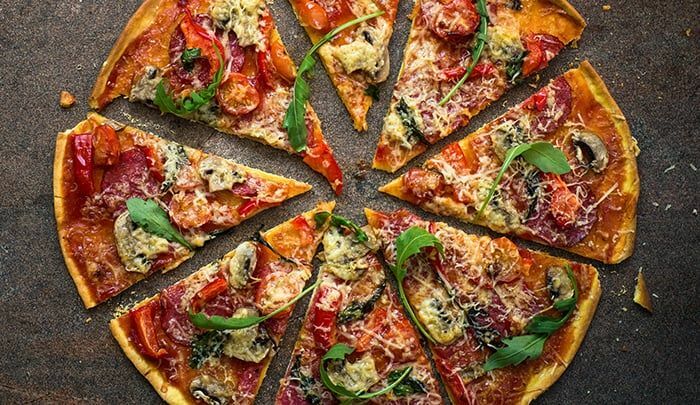 An important point to note is that leftover Pizzas that are kept in the fridge or freezer after 2 hours from their preparation may not remain as fresh. Hence, be sure to tuck away your leftover pizza slices before they go bad so you can enjoy their rich flavor at a later stage as well. On a concluding note, relishing fresh foods is more advisable than the frozen varieties. However, if you have leftover cooked Pizza, then the food can be stored in the fridge and consumed within 2-3 days. You can keep the cooked foods in the Freezer as well; by doing so, their freshness is retained for 1-2 months. However, the cooked items must be stored as per the given instructions for them to remain fresh for the required duration – whether storing in the fridge or freezer. Where storage information on the shelf-life of foods is concerned, you must note: 0 degrees Fahrenheit or lower are termed to be Freezer temperatures; room temperature is within the range of 60-70 degrees Fahrenheit; where refrigerated conditions are concerned, the temperatures are between 35-40 degrees Fahrenheit.